Marc Helgesen is author of over 180 books, textbooks and professional articles including Pearson’s popular English Firsthand series. He has been an invited speaker at development workshops on five continents. He teaches at Miyagi Gakuin Women's University, Sendai, Japan and in the M.A.TESOL program at Nagoya University of Foreign Studies. ​Positive, motivated students learn more. How do we build that attitude? Positive psychology offers direction. Traditional psychology focuses on mental illness. Positive psychology investigates mental health: What do happy, mentally healthy people do? This is more than “the power of positive thinking.” It’s science, based on real research and replicable studies. TIME magazine dubbed it “the Science of Happiness.” Seligman’s (2011) PERMA model of well being— Positive emotion, Engagement, Relationships, Meaningfulness, Accomplishment – take positive psychology to a new level which integrates well with our goals as language teachers. For example, positive psychology encourages “active constructive” answers to questions which help people re-experience positivity. Exactly the same behavior helps students practice using questions as a discourse strategy to keep a conversation going. Many more practical ideas will be included. Complexity and dynamism are now among the key words in the ELT literature. Researchers and language educators have become increasingly aware that language learning and teaching are exceedingly complex undertakings which can be very personal, individual, contextually situated, highly varied, and often difficult to predict in its development. This perspective has questioned our assumptions about aspects of language, learning and teaching that were unwittingly conceptualized in terms of simplistic, unidirectional, linear patterns and engendered a greater awareness of the need to be flexible, adaptive, and sensitive to the dynamics in the classroom. This talk emerges from my own needs as a teacher, teacher educator and researcher to renew my understanding of language, learners, learning and pedagogy given the inherent complexity and dynamism involved in learning and teaching English. I share the belief that language teaching is essentially complex and locally- situated and that it is critical to move away from prescriptive approaches towards more principled and contextually situated methodology. Within that methodology, we need to adopt alternative ways of thinking and open our eyes to different ways of viewing our classrooms. I conclude my talk with suggestions on how we can develop those ways of thinking and seeing to make our pedagogical practices more contextually informed. ​David Campbell is an assistant professor in the Department of Human Sciences at Obihiro University of Agriculture and Veterinary Medicine in Obihiro, Hokkaido, Japan. 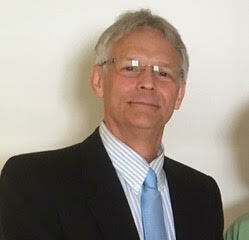 He has over 35 years of experience teaching English to all ages and levels of students . His current research interests are Moodle, a learning management system, and the use of ICT in tertiary education in Japan. 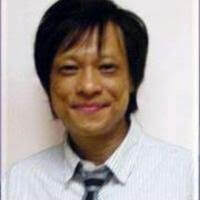 He is a member of the Japanese Association of Language Teachers (JALT) and its CALL special interest group, and the Moodle Association of Japan. 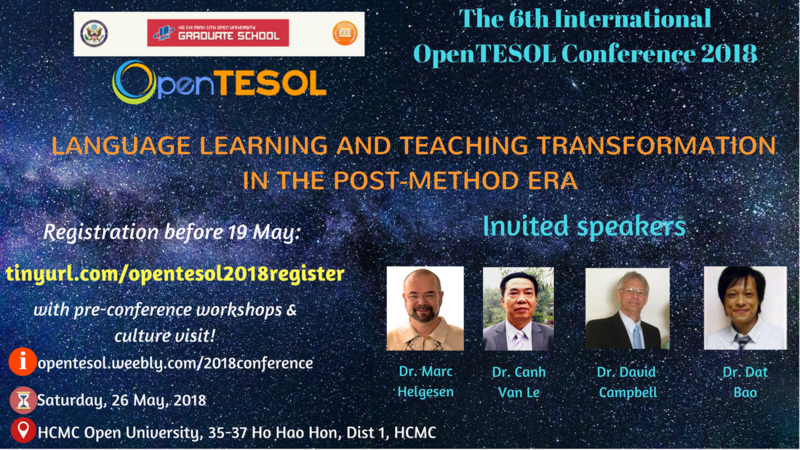 TESOL and Technology: Where are we heading? ​Bao Dat is a senior lecturer in education at Monash University. He has worked with Cornell University in the US, Leeds Metropolitan University in the UK, the National University in Singapore, Assumption University in Thailand, and Ho Chi Minh City Open University in Vietnam. Some of his latest books include: Understanding Silence and Reticence: Ways of Participating in SLA (Bloomsbury, UK, 2014), Poetry for Education: Classroom Ideas that Inspire Creativity (Xlibris, USA, 2017), Creativity and Innovations in ELT Materials Development: Looking beyond the Current Design (Multilingual Matters, UK, 2018), Ways of Making English More Learnable (Tong Hop Publisher, Vietnam, 2018). The discussion identifies the significance of materials for creativity, summarises the updated debate in creativity in education, and discusses ways of making the learning process more inspiring for students. Ideas proposed in the paper will be demonstrated by examples taken from successful coursebooks and from actual classrooms. Note: Dr. Dat Bao's discussion will be livestreaming.